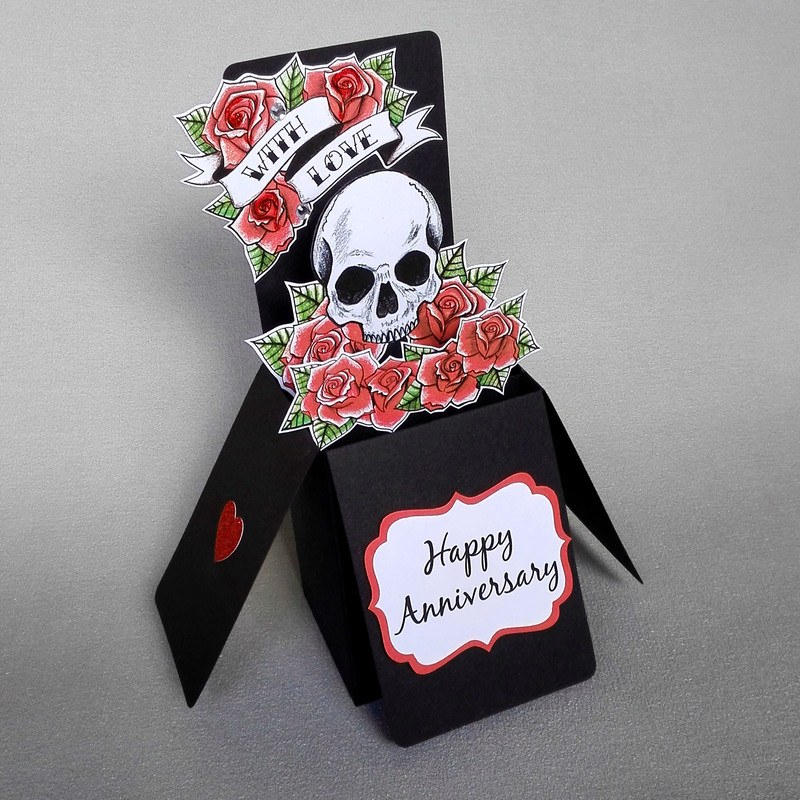 Skull & Roses Pop Up Anniversary Card. Handmade pop-up card with a tattoo inspired skull and roses design. The card folds flat for postage, no assembly required and comes in a clear bag with a white envelope. 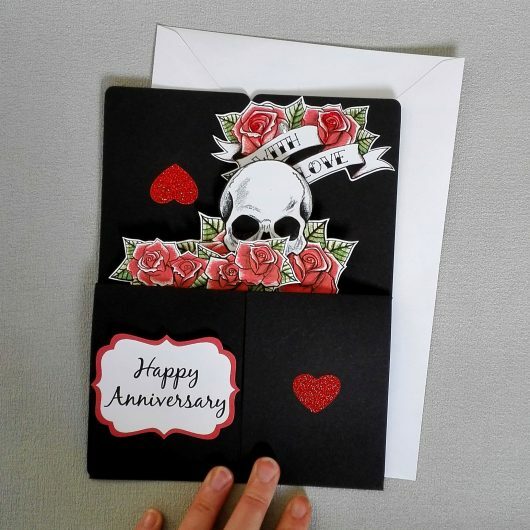 Any Age: The card can feature any age e.g. 16, 18, 21, 30, 50 etc or it can be left without the age and have a skull on the front to match the sides. Please send a message or leave a note at the checkout. Not suitable for young children as small parts may cause a choking hazard. Pop up 3-D box design decorated with hearts, flowers, butterfly, glitter, gems and metallic card stock. 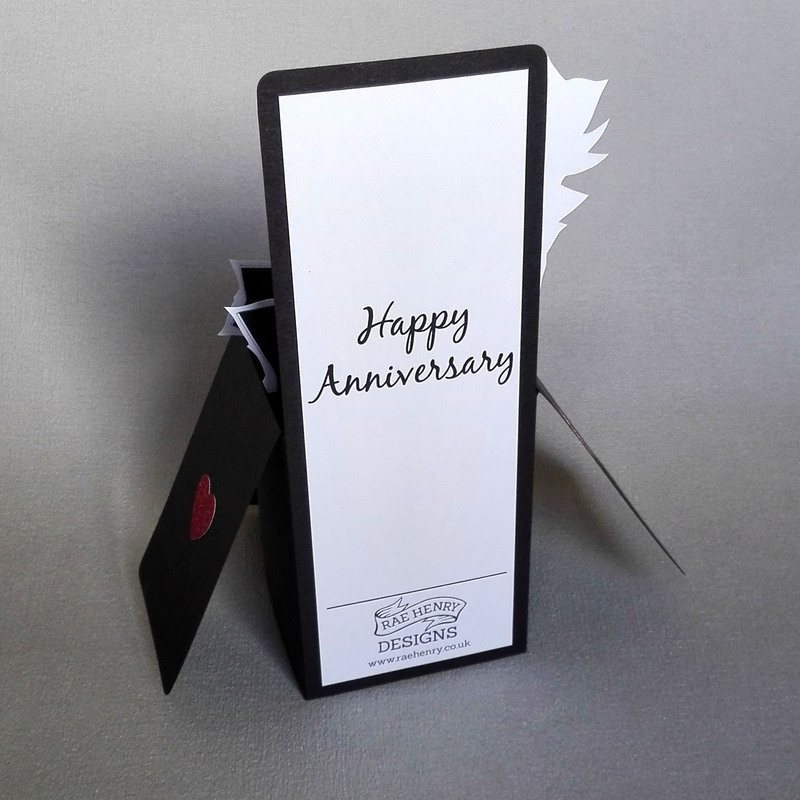 The card folds flat for postage, no assembly required, comes in a clear bag with a white envelope. Folded flat it measures approx: 21cm x 16cm. Butterfly Pop Up Birthday Card. Handmade 3-D box design decorated with gems, glitter and metallic card stock. Folds flat for postage, no assembly required. Folded flat it measures approx A5 sixe: 21cm x 16cm and comes in a clear protective bag with a white envelope.